Last year, a new outdoor adventure got off the ground — literally — when the Nantahala Gorge Canopy Tours began offering rides on their 1/2 mile-long network of ziplines throughout the treetops in the Nantahala Gorge. Part eco-tourism, part adventure tour, zip lines provide an opportunity to soar through a forest with a unique perspective of the land below. 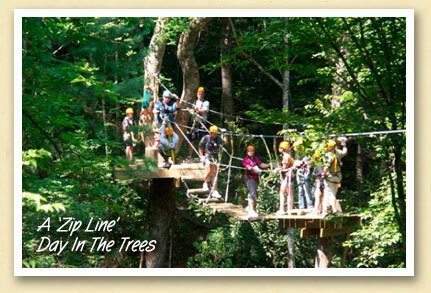 Today, it’s one of the most popular outdoor activities in the area, with their three hour rides routinely selling out. Above, a group of riders await await their turn on a sky bridge.